Like dystopia? Like thrillers, and like them smart? 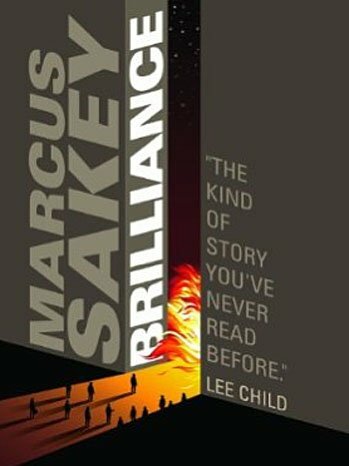 Marcus Sakey’s newest title “Brilliance” more than lives up to the title. It’s 2013 (but not ours), and government agent Nick Cooper is fighting an epidemic of savants. In the mid-1980s, children started being born with “gifts”— things like advanced insight into computer code, strategy, computation and, for Cooper himself, reading body language. The “brilliants” are isolated, sent to special schools and ostracized. Society tends to look at them askance. Random gifted terrorist attacks don’t help their case with the “normals” and Cooper’s job is to find the gifted terrorists before they strike—and kill them. In the wake of the NSA scandals, “Brilliance” seems prescient. Longtime readers of Sakey will be thrilled that his high-stakes plotting hasn’t deserted him—terrible things happen early and just get worse. And he chose a fascinating subject—intelligence—to build a dystopia upon. Heightening the mood are newspaper articles, advertisements and quotes from this deeply stratified world. “Some of my best friends are normal,” a brilliant comedian says; a phrase we’ve all heard to excuse any manner of prejudice. Its use here sets up our understanding of current public opinion—you’ve got to admire Sakey’s dedication to all that backstory.